Do you ever wonder what happens to a restaurant's single-use wooden chopsticks after the meal is over? 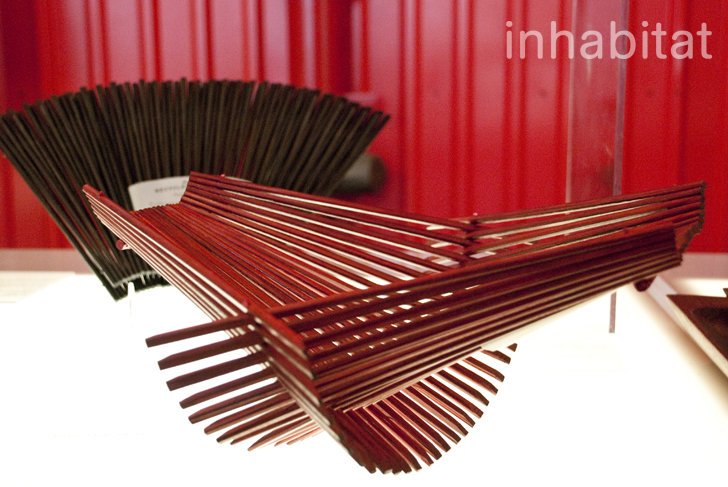 The New York International Gift Fair (NYIGF) offered one such solution by way of Kwytza Chopstick Art. The angled, chic design of the Folding Basket raises awareness while also serving as the perfect receptacle for fruit, mail or any other loose items lying around the house or office. During a stint in China, founder Bryan Parks observed how many wooden chopsticks went to waste after meals. Returning to Oregon, he was so inspired by his time in China that he decided to address the issue through a ‘folding baskets’ design. With an estimated 25 million trees and bamboo plants used every year to make chopsticks, billions of which go to waste annually, his idea addresses a highly relevant phenomena. Each basket is made from single-use, compostable bamboo chopsticks collected from restaurants, and sanitized at extremely high temperatures using solar-heated water. They are coated with a natural shellac and then constructed into collapsible baskets. Each folds flat, making it easy to store or transport. The baskets come in a range of colors and sizes, from folding soap dishes to larger fruit baskets. The product line has also grown to include a hot pad, a flat soap dish and collapsible chopsticks– perhaps so you don’t ask for single-use ones the next time you find yourself at a restaurant! 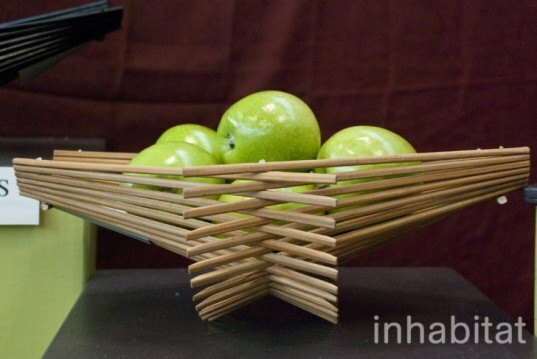 The upcycled, bamboo chopstick products range in price from $11 to $34. During a stint in China, founder Bryan Parks observed how many wooden chopsticks went to waste after meals. With an estimated 25 million trees and bamboo plants are used every year to make chopsticks, billions of which go to waste annually, Parks' idea addresses a highly relevant phenomena. Each basket is made from single-use, compostable bamboo chopsticks collected from restaurants and sanitized at extremely high temperatures using solar-heated water. Each basket folds flat, making it easy to store or transport. The baskets come in a range of colors and sizes, from folding soap dishes to larger fruit baskets.